Leica Gallery Boston in collaboration with Leica Gallery Istanbul is proud to present, for the first time in North America, The Myth of Men by Ahmet Polat. This exhibition is part of an ongoing theatre, film and photographic collaboration between Ahmet Polat, Lucas de Man (theatre,storyteller) and Rashif EL Kaoui (radio, actor). “The Myth of Men” exhibition premiered at Leica Gallery Istanbul during the Istanbul Biennial in 2017, and simultaneously began its theatre production at Zuidplein Theatre in Rotterdam, currently on tour throughout the Netherlands and Belgium. 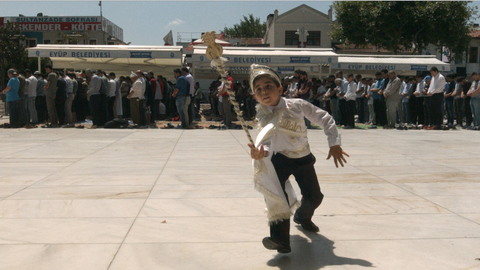 The project was initiated in the Netherlands and continued in Turkey, with interviews and photo- and film shoots. “The Myth of Men” was shot through the implementation of innovative production methods, using Leica cinematic lenses, enabling Polat to output stunning moving images and stills. 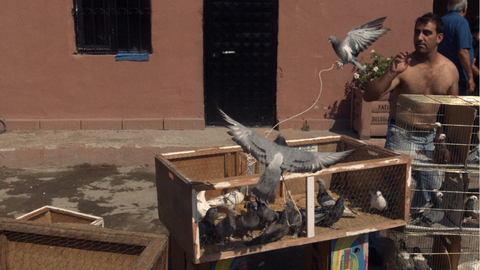 The visual representation and narrative of Polat’s project has the characteristics of an experimental documentary, portraying people from different geographies bearing different identities, while still accessible and evocative of its theme. 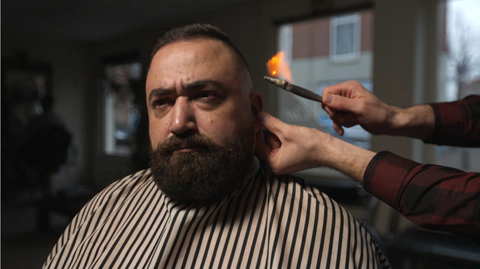 In its iteration at Leica Gallery Boston, Polat presents a video and photographic installation revealing the multiple layers of manhood presented in The Myth of Men. Polat immerses himself in multiple situations and happenings and takes on a personal approach beginning from the character’s social status and identity, down to their relationship with city, ways of living, traditions, and individual perspectives. March 1, 6PM - 9PM | RSVP here. March 2, 5PM-7PM | RSVP here. On view March 1 through April 29, 2018. For more information, visit Leica Gallery Boston. Move beyond an outsiders perspective, and explore new, creative ways to make your photography and videos stand out while adding your own personal touch in this upcoming 2-day workshop with Ahmet Polat. This workshop will provide a new skill set of engagement with your surroundings and audience, while creating an alluring and immersive narrative. Enrollment is limited to 12 students, so sign up at you earliest convenience. March 3-4, 10AM - 6PM | Register here.